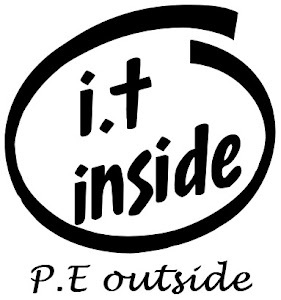 I.T Inside P.E Outside: Back to school for 2014! How to get the best out of introducing technology into your PE classroom. Back to school for 2014! 1.) To scaffold my lessons to provide a more challenging environment for more of my students. I'll do this by creating a variety of tiered assessment pieces that will provide students with choice when it comes to being assessed. The use of Stile will assist with this. Example of how my classes look to me. I can create lessons and then drag them up when I'm ready for students to do them. 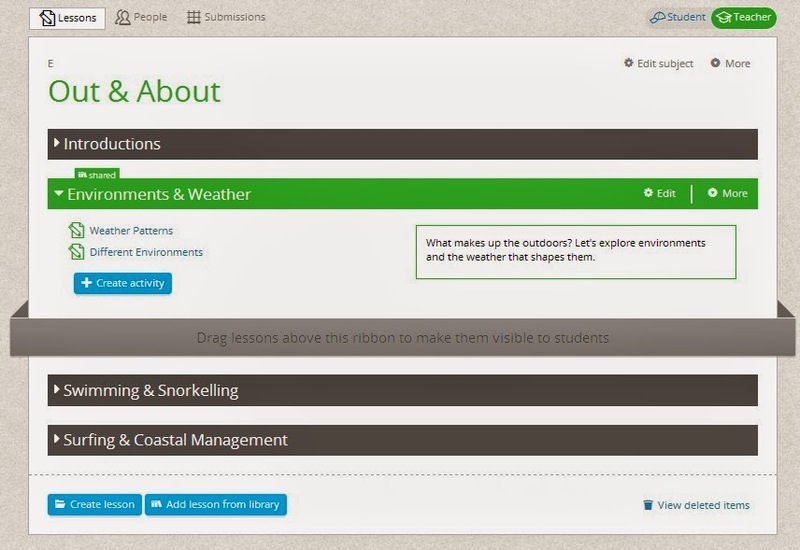 Stile is a relatively new comer to the world of cloud based education. We had an opportunity to trial their system within our school last year and many of us loved it and asked for it to continue on so management ticked that box for us. 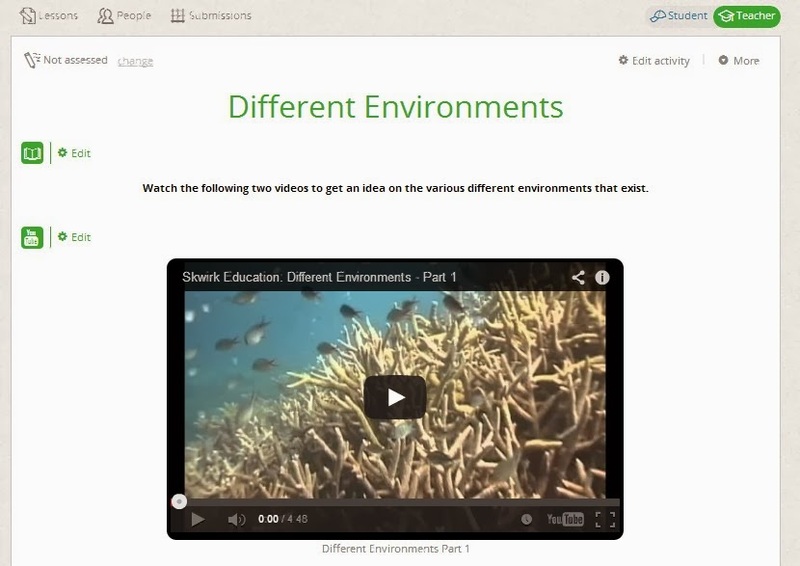 In it's most basic form it allows you to create "online worksheets" for students to complete and once they have you can correct it online and send them individual feedback. I'm hoping to use it on the next level up though by creating a more "flipped classroom" look with explanatory videos to be created on a host of topics from healthy eating right through to how to swing a golf club. If I model the videos right... I'm hoping the students will make their own in return with the use of their iPads. What a lesson looks like (mixture of introductory video and then exploratory style questions. 2.) To increase the amount of meaningful feedback being given to students and to do so in a timely fashion. My goal is to construct better tasks that assist me in enhancing the quality of feedback given to my students. 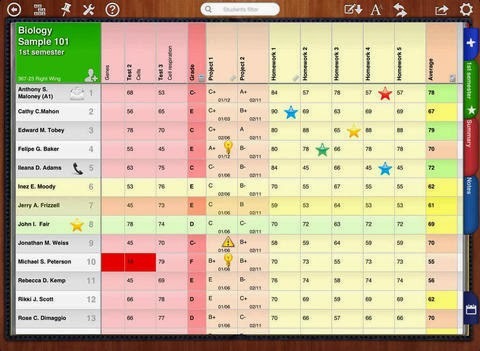 I also hope to construct a series of self assessing items using various ICT tools. iDoceo is an app I picked up last year. It's not a free app but it has been worth the money spent. It's everything in one for me in terms of a "teacher's chronicle" so much so that I didn't buy a hard copy book this year to record student progress and marks. Example of iDoceo at work. 3.) To continue being a leader within my school when it comes to integrating tech tools in a meaningful way both in and outside the classroom. I love being able to show my colleagues new and exciting ways to do something, as well as just introducing new tools. The main reason is because I strongly believe that we're more powerful as a team than as individuals and whilst I can think of how to use new tools I'm forever impressed by the new things I learn from my colleagues. I have other exciting plans too but I might save them for future posts! So what are your goals for 2014? This blog is all about ideas on how to use technology in the PE classroom. The main author of this blog is a keen Secondary College PE teacher located in Melbourne, Australia. I.T Inside P.E Outside. Powered by Blogger - BlackSplat design by SamK.